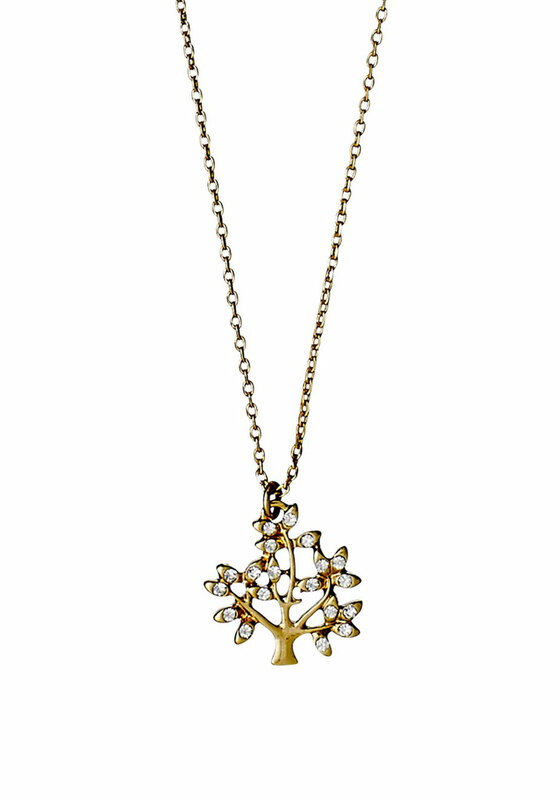 A delightful gold plated tree necklace from Pilgrim that looks good no matter what style you wear. Branches of the tree are adorned with crystal stones. This necklace measures at 40cm and has a 9cm adjustable chain.